JMAS5000 Theracane Massage Cane by Jobri - Jobri Back Care Ergonomic Products - BetterBack, BetterNeck, BetterRest, BetterPosture, Nubax Tri and Theracane. 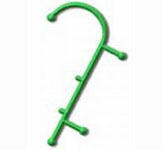 The Theracane is an Ideal Massage Tool for use after a long day at work or after strenuous activity. 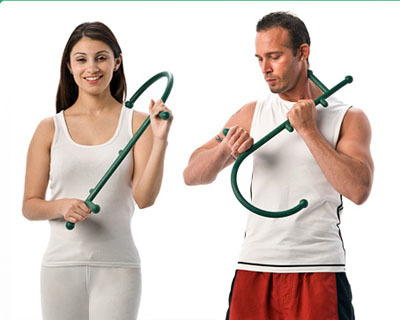 The Cane-shaped massager is used for easing aches and pains by appling pressure to sore muscles and trigger points. Two strategically placed projections and 6 treatment balls. Theracane Includes a 14-page customer user manual. Measures approximatly 24 x 15 x 1 inches. Copyright � 1996-2010 VitalityWeb.com, Inc.